We're five months away from Summer and we better start planning our summer party to make the best out of it this year! 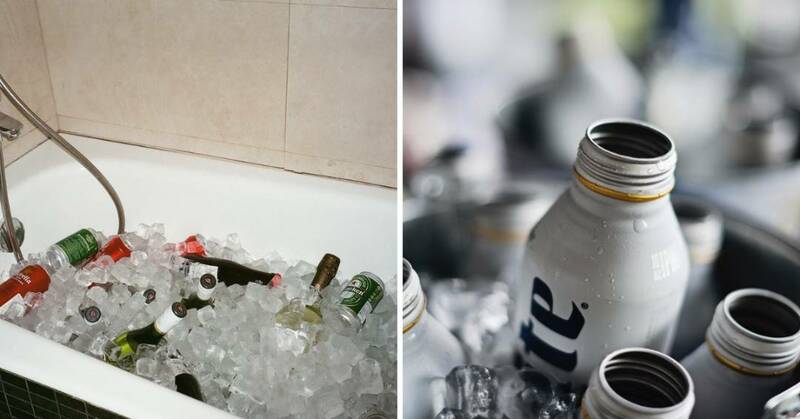 Check out our five DIY outdoor cooler ideas for a refreshing summer party this 2019! We’re five months away from Summer and we better start planning our summer party to make the best out of it this year! Barbecue party or cocktail party—there’s nothing better than an outdoor party. So what is the must-have item to include for your summer party? It’s none other than—an outdoor cooler. 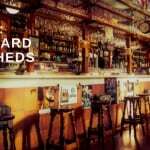 It is a great way to keep your beer cold and tasty, even your ordinary juice need a place that will keep it cold in the long run. Well, you actually don’t have to buy a new one. 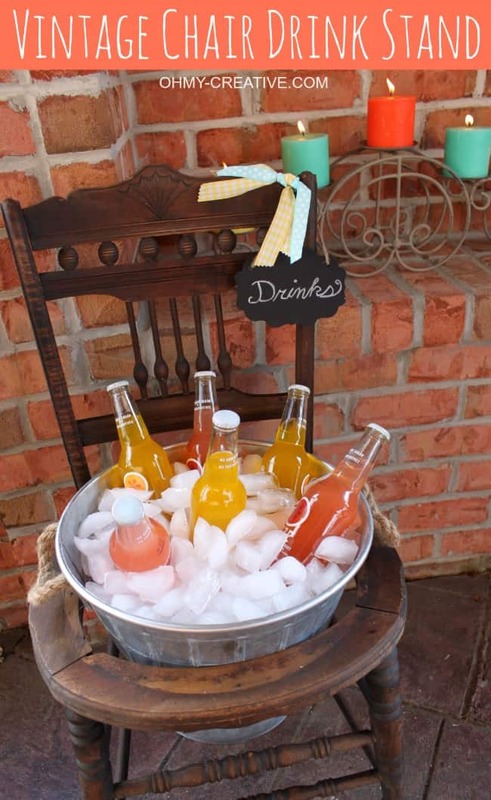 Let your creativity run wild and do your own outdoor cooler that will definitely come in handy during the summer time! 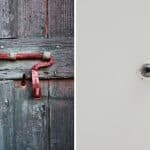 Below, we have provided with five DIY outdoor cooler ideas to help you save enough money, and of course, to have a refreshing summer party this 2019! Let’s talk about vintage. Don’t you just love mixing old and new stuff together? This DIY vintage chair drink stand is a perfect idea for those who love vintage styles when it comes to interior designing. It is so powerful that it doesn’t just breathe new life to the interior but also to your exterior! 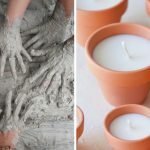 This DIY idea is perfect for small outdoor parties. It’s time to look for a vintage chair in your garage or somewhere in your home. I’m sure you have at least one of them! You don’t have to spend hours and hours of thinking and figuring things out for your beverage coolers, we’ve got you covered! 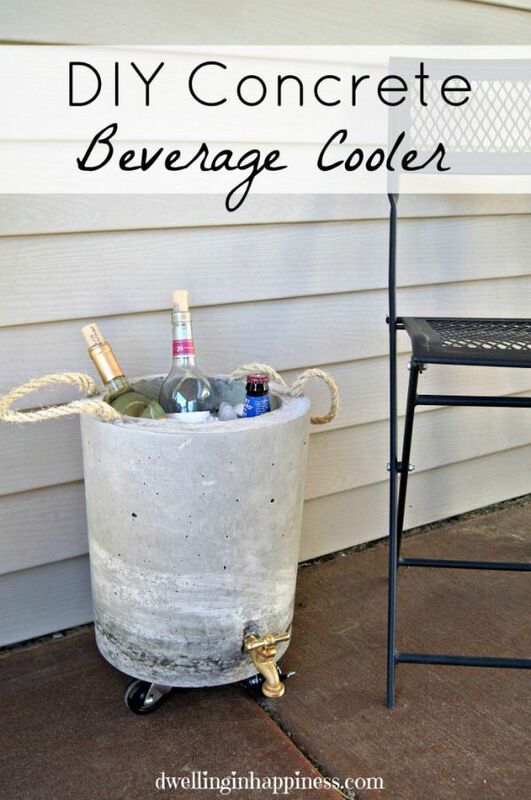 Maybe it’s time for you to let your creativity run wild with this DIY concrete beverage cooler. I swear this cooler will give you so many praises from your family and friends. I mean, who would have thought that a cooler like this can exist? Thanks to Dwelling in Happiness for sharing this innovative idea. So, what are you waiting for? Go check it out on how you’ll do this masterpiece. 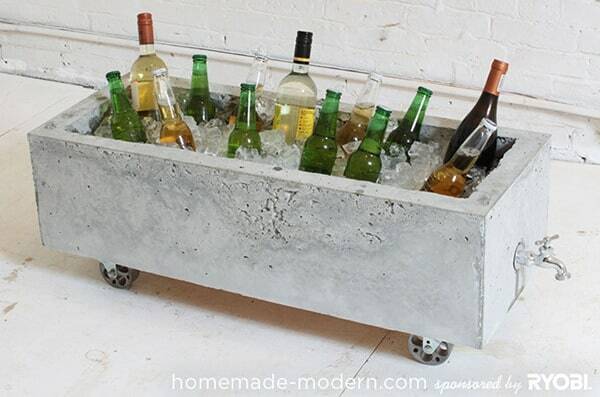 Just in case you want to create another DIY concrete beverage cooler, you might want to consider this style. In this way, you can store more of your beers and other beverages and let them cool under the sun. Don’t forget that extra ice, though. Thinking about a pirate themed party this summer? 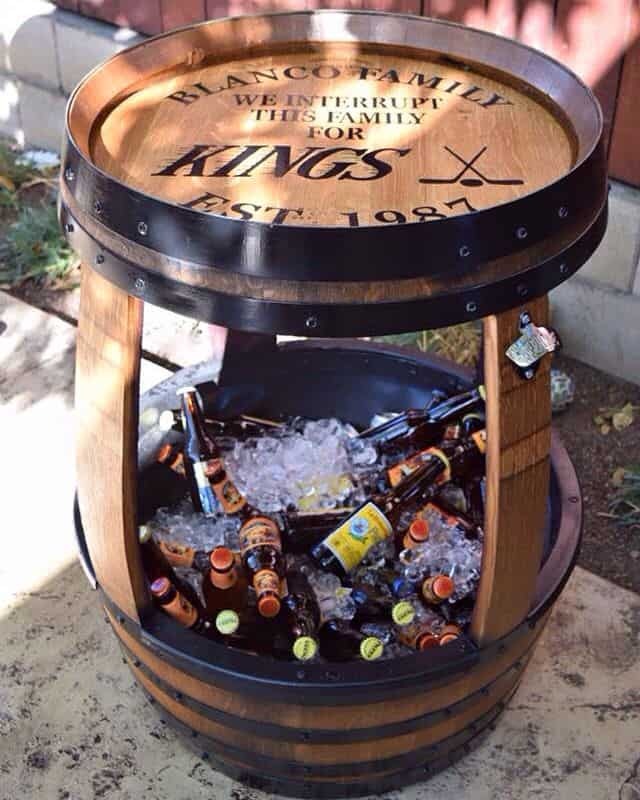 Well, this DIY wine barrel cooler can add extra magic and pirate-ish feels on your summer party. What’s the best thing in this cooler? It works in two ways—as your beverages cooler and as a small table and a stand at the same time. This is perfect, especially when you don’t have enough space for big tables and such. Okay, you don’t have to spend your money on this one as long as you have a wheelbarrow hiding in your shed. 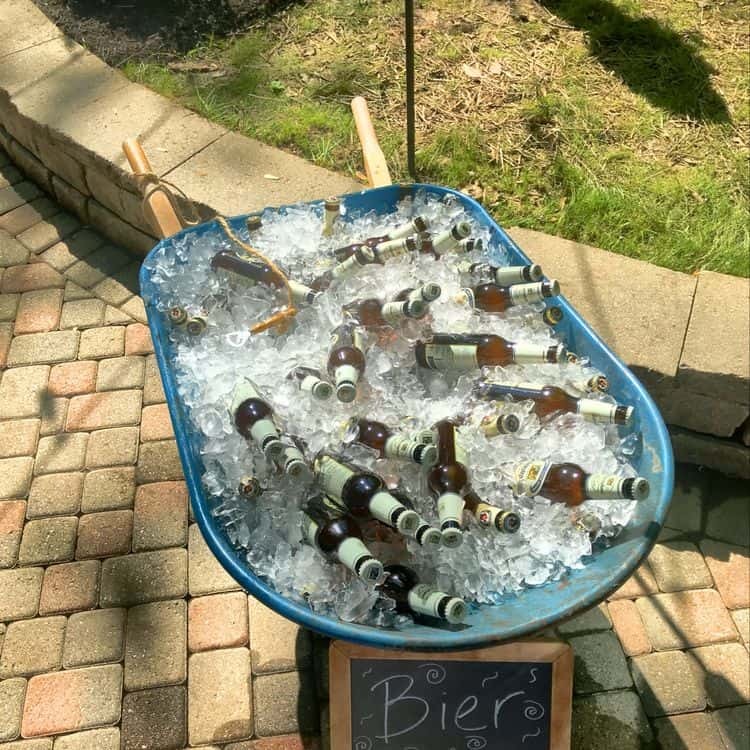 It doesn’t matter if it is old or new, what matters most is the sheer size of the wheelbarrow that will allow you to store more beverages. If you’re planning to throw a big summer party, then this one will be a great companion. I mean, a wheelbarrow? That is so cool!